You know that awkward feeling you get when you go to your doctors appointment but you are already feeling way better so you don't really know what to tell them? That is what inspired us to create Indicium. 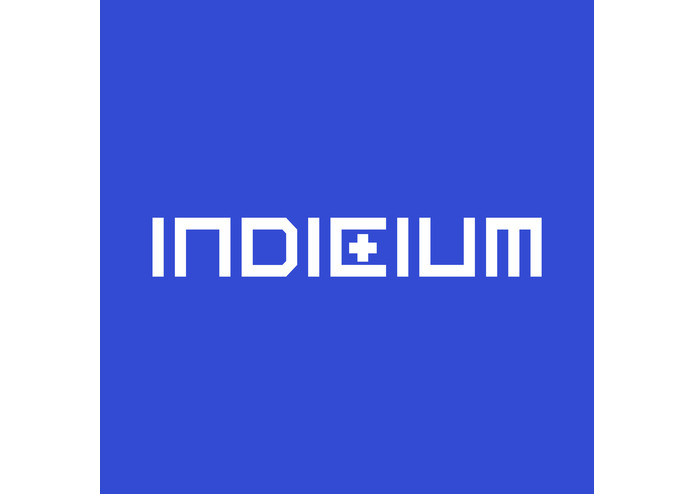 Indicium allows the user to input data on symptoms they are feeling, then select the symptoms they want to report and generates an email that is sent to the doctor. We divided the work into group members, so some of us worked using HTML CSS and JS to create the front end part of the project. Some others worked using DJango to get all the back end to work with the front end. We didn't know how we were going to save pictures in our database so we approached the people from Datto and they recommended we use a relative path to a file system with pictures in the database. We ended up not having time to actually implement the feature anyway so we can't attach images to the email, but you can upload the pictures. We could not figure out how to set up the email generation part, so we used Spark Post's email service to fulfill that part of the program. We didn't really know how we were going to structure out database tables at first, and that was something that we had to go back and forth with a lot. We did not think that we would be able to make the features that we wanted for our first version both functional and user friendly, but with a lot of teamwork we achieved that and it was really satisfying. -We got a better understanding of how servers work. -We learned that once the server is working everyone should be working from there to avoid issues like having to move all the css to a static folder, or in our case have to change all the paths from where you have to take the css code. 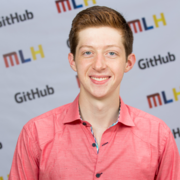 -I think the most important thing that we learned was that it is important to at least roughly draft the database tables and its relationships before actually coding them. 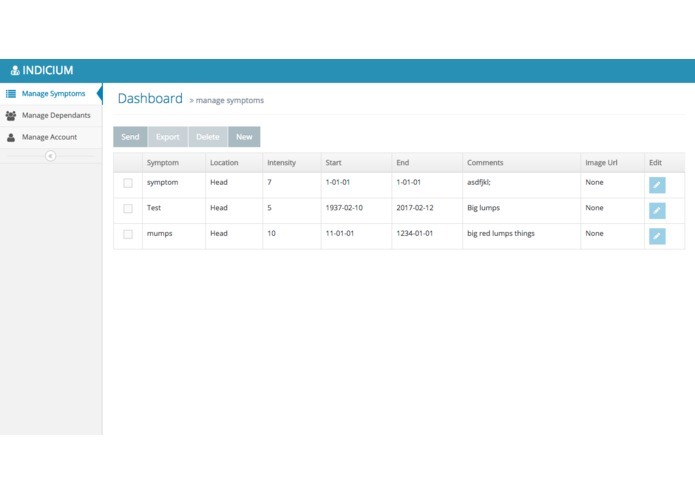 -We want to make users be able to add dependents so they can keep track of their symptoms as well. -We want to add some real time technology in the future so communication with your doctor is not just limited to emails, but so much more. This could be especially useful for patients with chronic illness so that they can get a continuous follow up from their doctor. -We want to be able increase our data security and maybe work with cloud storage to make the system better. I worked on the web design, database drafting, and requirement analysis for our project. I worked on the authentication and database side of the site. I also ran around cleaning up dead links towards the end of the hackathon. I had never used Django or SQL, so this was a great learning experience for me. I also am the webmaster. I worked mostly on the backend of our web-service, which is written in Python 3 using Django. 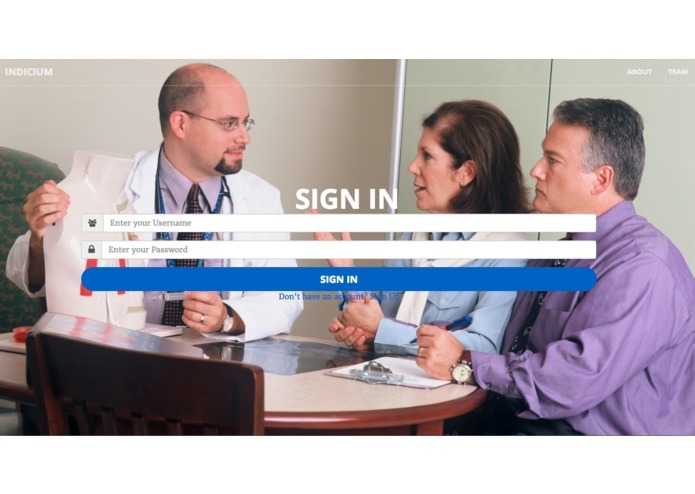 My main job was to work with the user medical data, while my teammates worked on authentication and web design. I only learned Django within the past week, so it was a good learning experience for me in that regard.